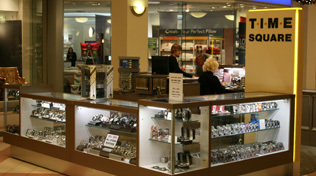 Family owned and operated since 1981, with more than 600 watches on display. 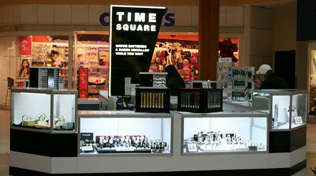 Time Square Watch Shops is Milwaukee's only watch specialist; watches is all we do. 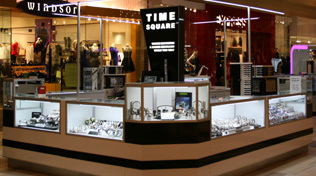 We are a factory authorized dealer of 12 of the most popular watch brands, many at discount prices. Stop in any one of three convenient locations listed below for fast expert service. * Department Store and Holiday hours may vary.